Ramsey skipper Michael Cafferkey has earned a Cambridgeshire recall for a friendly Minor Counties twenty/20 competition in Bury St Edmunds on Sunday (June 26). 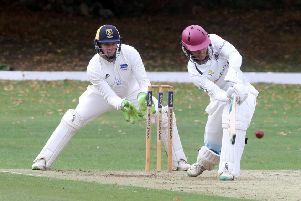 Cambs take on hosts Suffolk, Nofolk and Beds in a four-county competition. There is no competitive Minor Counties twenty/20 competition this season. Peterborough Town’s Lewis Bruce will skipper Cambs and will be joined by club-mates David Sayer and Joe Dawborn. Wisbech players Josh Bowers, James Williams and Sam Rippington are also involved. Cambs: P. Richer, A. Allchin, M. Cafferkey, B. Seabrook, J. Williams, L. Bruce, J. Bowers, J. Dawborn, S. Rippington, J. Arksey, D. Sayer.